According to a report by the UN, in 2026, India is expected to be the world's largest milk producer, with an output one-third above that of the second largest producer, the European Union. United Nations: India, projected to be the most populous country over the next decade, will be the world's largest milk producer by 2026 and will account for the biggest increase in wheat production globally, according to a report by the UN and OECD. The OECD-FAO Agricultural Outlook 2017-2026 said the world's population will increase from 7.3 to 8.2 billion over the course of the next decade with India and Sub-Saharan Africa accounting for 56 per cent of total population growth. India's population will grow from 1.3 billion to 1.5 billion, an increase of almost 150 million. India will overtake China and is projected to be the most populous country in the world by 2026. The report said that given their strong population growth, India and Sub-Saharan Africa will also drive a large share of global demand. It further said that over the first quarter of the 21st century, milk production in India will be nearly tripled. 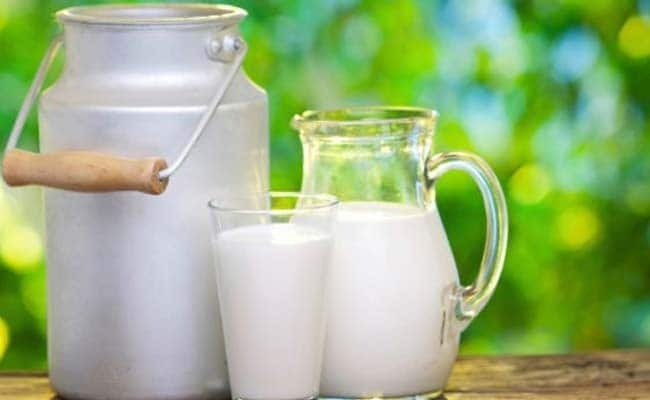 "Over the course of the outlook period alone, milk production in India will grow 49 per cent; in 2026, India will be the world's largest milk producer, with an output one-third above that of the second largest producer, the European Union," said the report by the UN and Organisation for Economic Cooperation and Development. Global production of wheat is projected to increase by 11 per cent over the outlook period of 2017-2026, while the wheat area increases by only 1.8 per cent. The increase in wheat production is expected to occur through higher yields, most notably in Asia and Pacific, which will account for 46 per cent of additional wheat production. Within the region and globally, India (15 Mt) will account for the biggest increase in production and Pakistan (6 Mt) and China (5.5 Mt) are also expected to have significant gains. The European Union accounts for 13 per cent of the production increase. Rice production is expected to grow by 66 Mt and will be almost exclusively driven by yield growth, which accounts for 93 per cent of additional production. The global area dedicated to rice is expected to increase by only a per cent from the base period, while global yields will increase by 12 per cent. Major production gains are projected for India, Indonesia, Myanmar, Thailand and Vietnam with yields in these countries are expected to increase by over 15 per cent. The report said that global food commodity prices are projected to remain low over the next decade compared to previous peaks, as demand growth in a number of emerging economies is expected to slow down and biofuel policies have a diminished impact on markets.